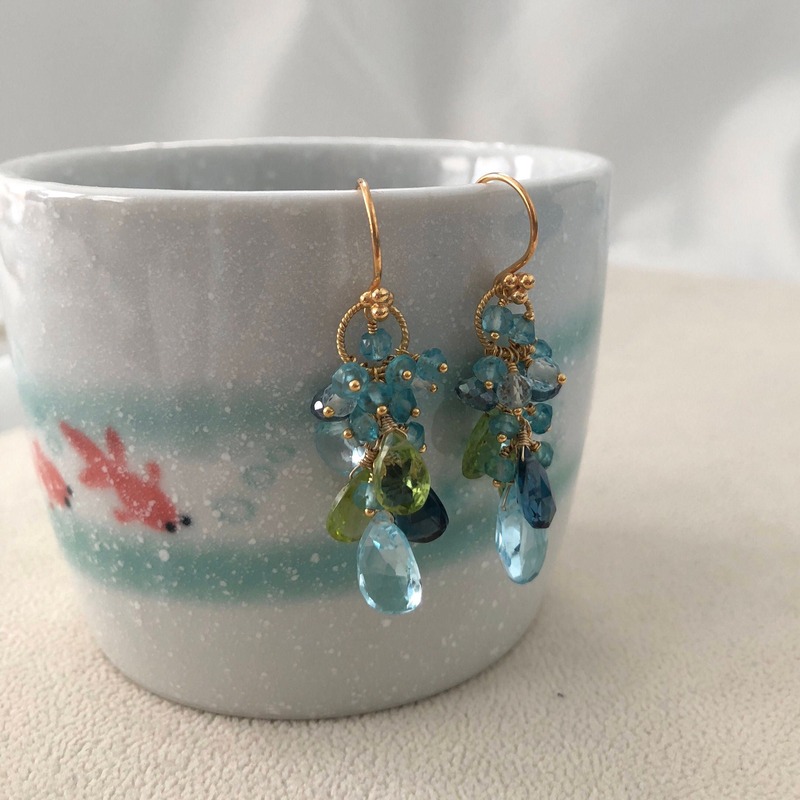 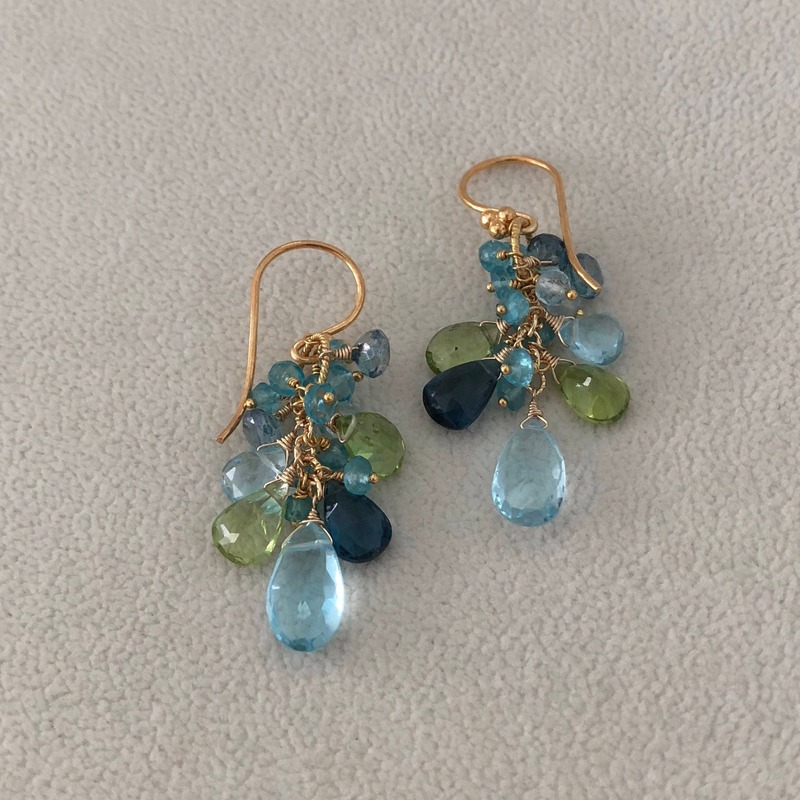 This is a variation of my waterfall earrings. 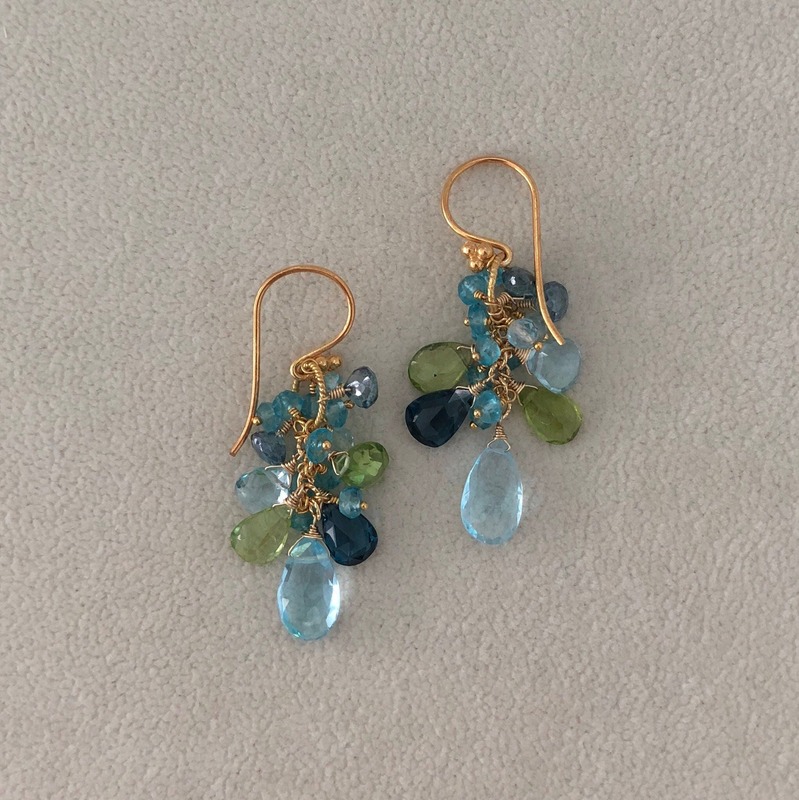 Instead of individual chandelier pendants, these gemstones are assembled in a lovely cluster cascading from the circle. 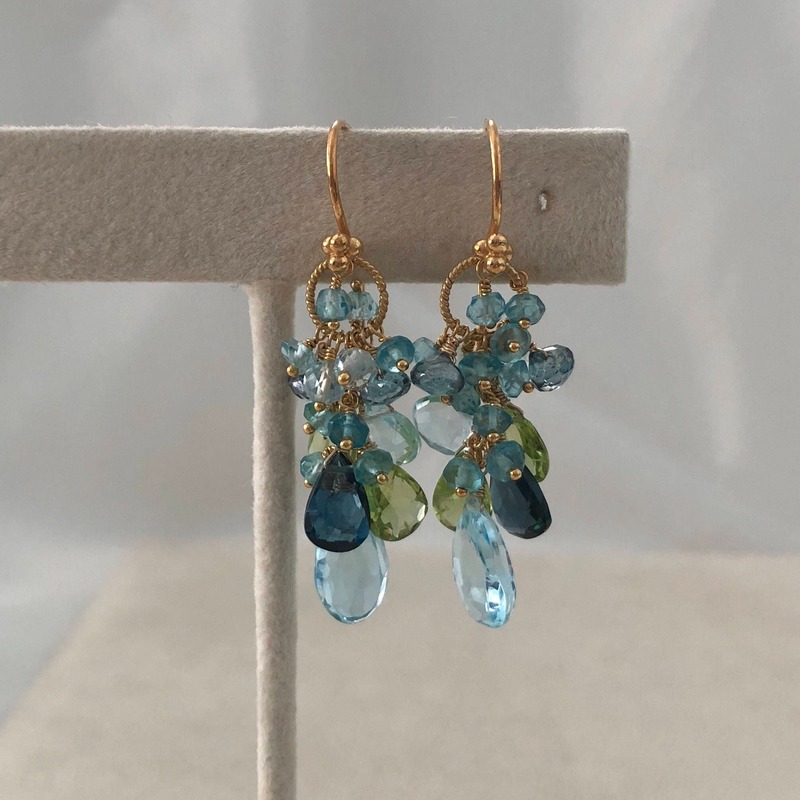 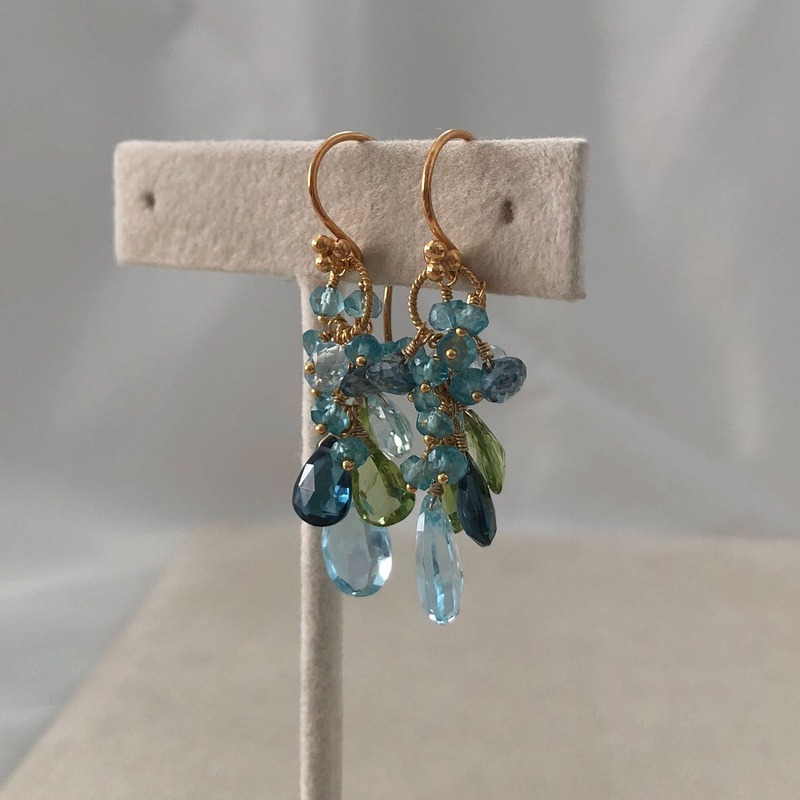 These beautiful earrings consists of some of the mystic London blue topaz, London blue topaz, sky blue topaz and peridot. 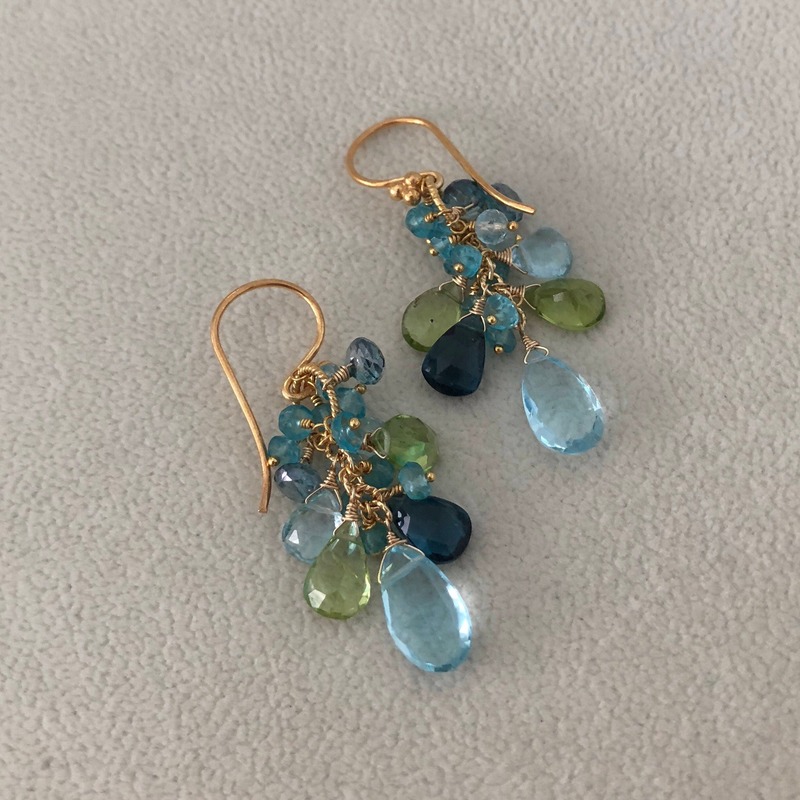 All of these gemstones are high quality and their remarkable sparkle and glow attest to it. 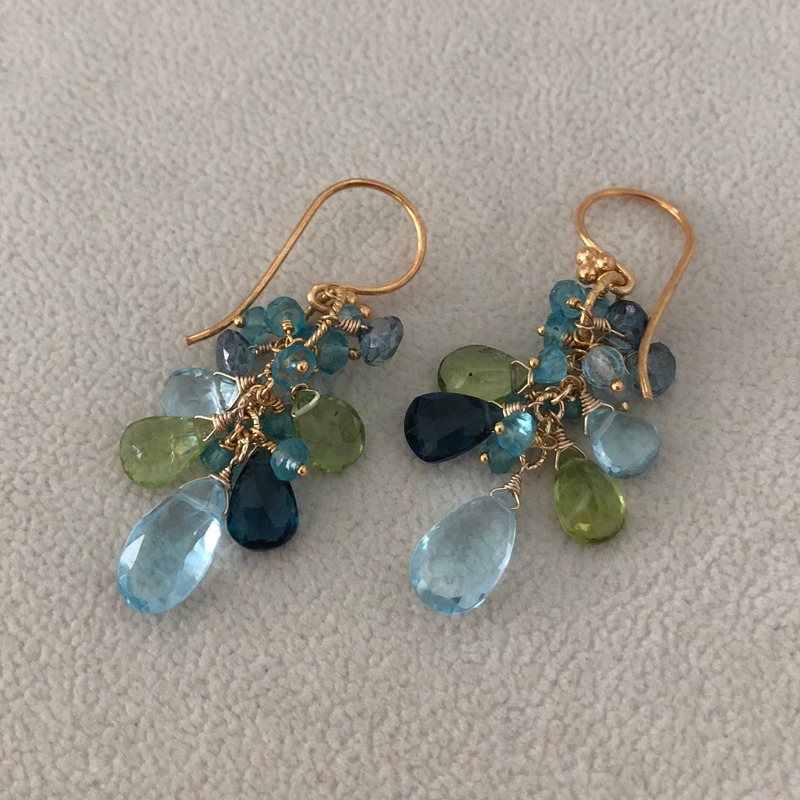 These earrings are composed in gold vermeil and gold-filled components and completed with fancy silver earwires. 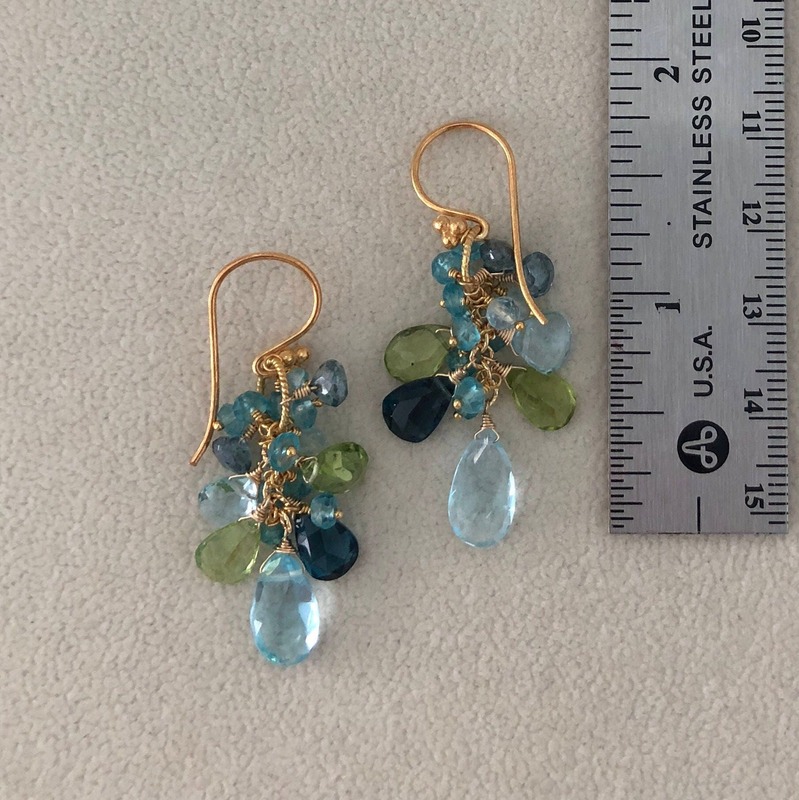 They measure approximately 1.25-inches from the bottom of the earwire.